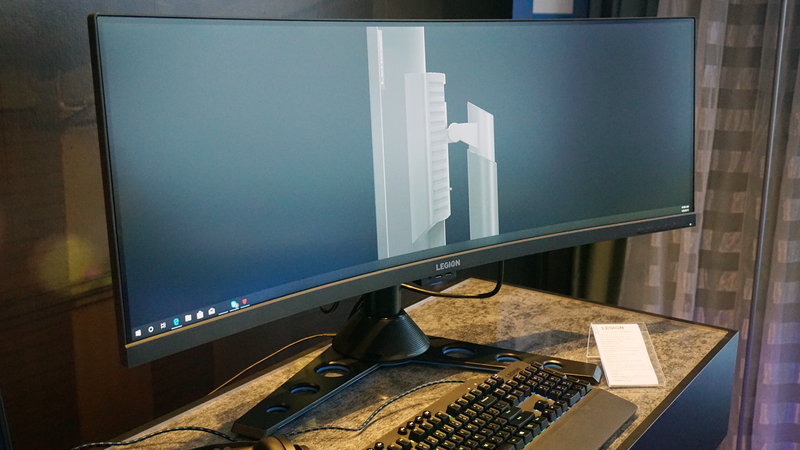 Ultrawide monitors are becoming the rage, and now even bigger versions (Megawide? Magnawide?) Are becoming surprisingly common. 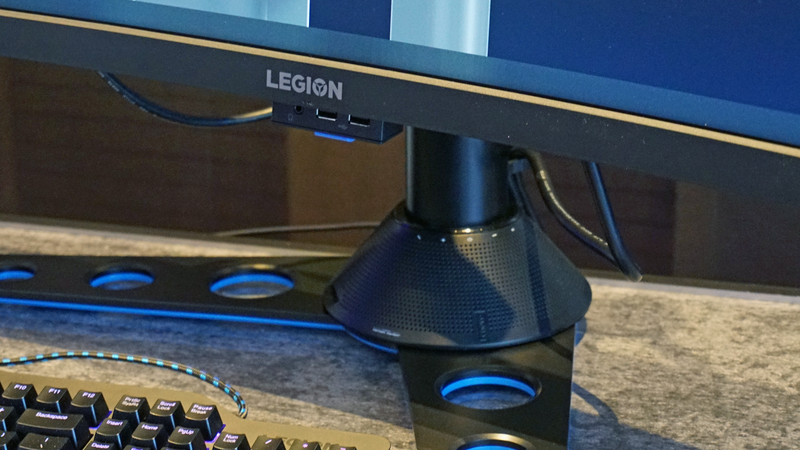 Lenovo is unveiling two 43.4-inch monitors here at CES, one in the business class ThinkPad lineup and one in the LEGION gaming sub-brand. 44Hz, and 4-millisecond response time are spec headlines. The inputs are varied including double HDMI, DisplayPort, and USB Type-C with 90 watts of power output to charge your laptop. The displays come with an integrated USB hub, too, with two ports and a headphone jack that are right beneath the center of the bottom bezel. Need using them? They fold up in the body when needed-a very classy touch. An optional Harman Kardon speaker integrates into the sturdy central column of the stand. Lenovo's software allows for easy picture-in-picture, with optional Harman Kardon soundbar and fold-up USB ports. plus virtual monitor spaces to more effectively manage windows on the wide space-a branded version of a DisplayFusion trick. Both panels will support AMD's FreeSync 2 for smoother gameplay, but the exclusion of NVIDIA's G-Sync on this is a bit of a let-down. 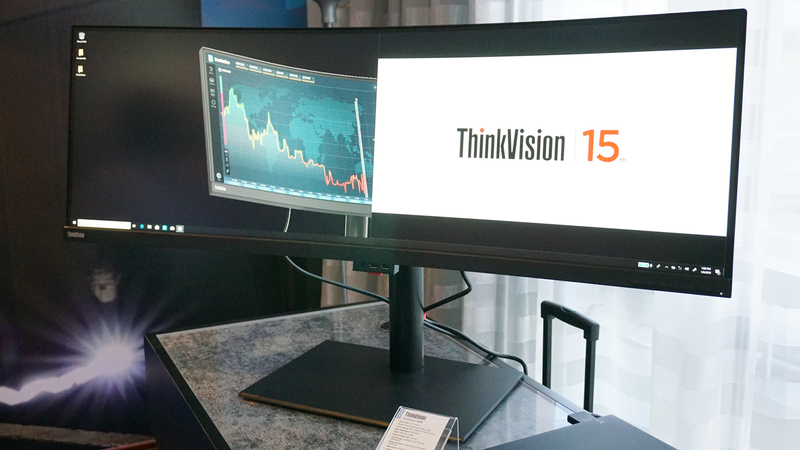 Speaking of which: the ThinkVision P44w, with pre-certified color certification and a three-year warranty, will be available in April for $ 1300. The Legion Y44w, sans certification and with a 1-year warranty, will go for $ 1200 at the same time. 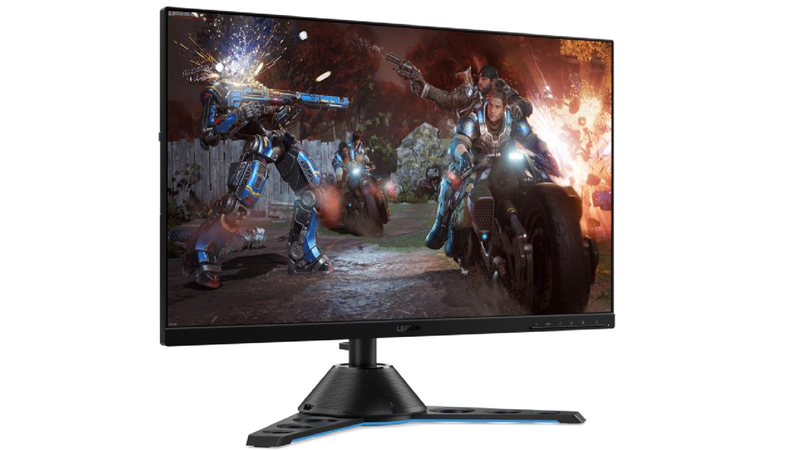 That makes the price a little more understandable: at $ 1000, it's among the most expensive 27-inch gaming monitors on the market. 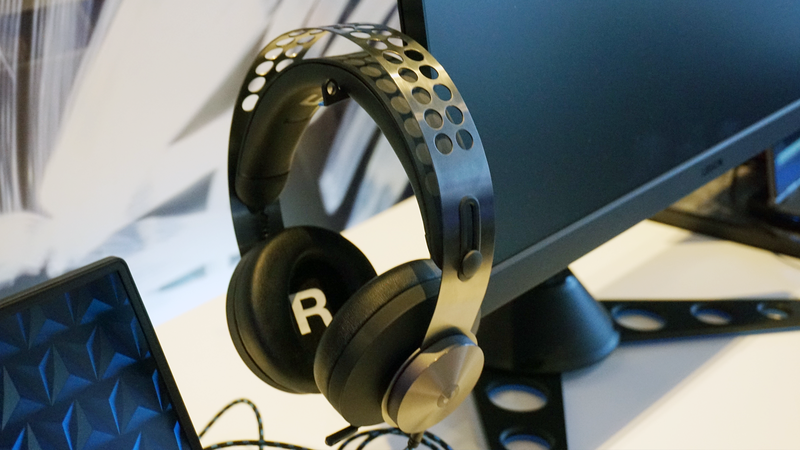 Lenovo is hoping some neat extras, like a subtle and stable stand, ultra-thin bezels, and a fold-out hook for hanging your gaming headset, wants to make up the difference. While this model dispenses with USB-C, it is not a popular one for gamers, anyway. It wants to hit the market in April.